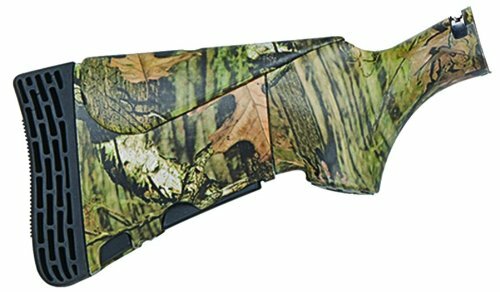 The Mossberg 95222 Flex 4 Position Adjustable Hunting Stock with Dual Comb is an infinity adjustable hunting stock that gives shooters almost 2-inches variable length of pull for a variety of shooting applications, all at the touch of a button on the stock. Features the Tool-less Locking System. No tools necessary to make changes. Synthetic. Compatible only with Mossberg Flex 500/590. MOBU. If you have any questions about this product by Mossberg, contact us by completing and submitting the form below. If you are looking for a specif part number, please include it with your message.